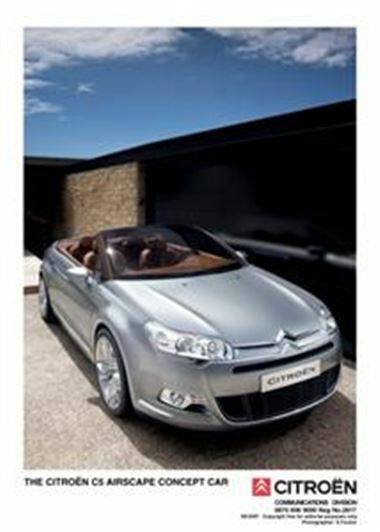 The new C5 car from Citroen has been unveiled by the French automaker in Paris. According to the company, the model represents a "powerful addition" to its line-up and motorists will know if they are right once it goes on sale in the UK from early 2008. One thing that will be assured is the comfort of those driving it, as Citroen has installed a back massager into the driver's seat. The car is longer and wider than its predecessor the C4 Picasso, while also benefiting from a concave rear window which may help deflect sunlight. Citroen said: "The all-new C5 conveys a real sense of prestige, with the state-of-the-art design in a classic thoroughbred saloon." This comes as the firm has announced that it has sold 1.113 million of its cars for the year up to October. Giles Michel, executive vice president for the car manufacturer, commented that this represented a record feat.